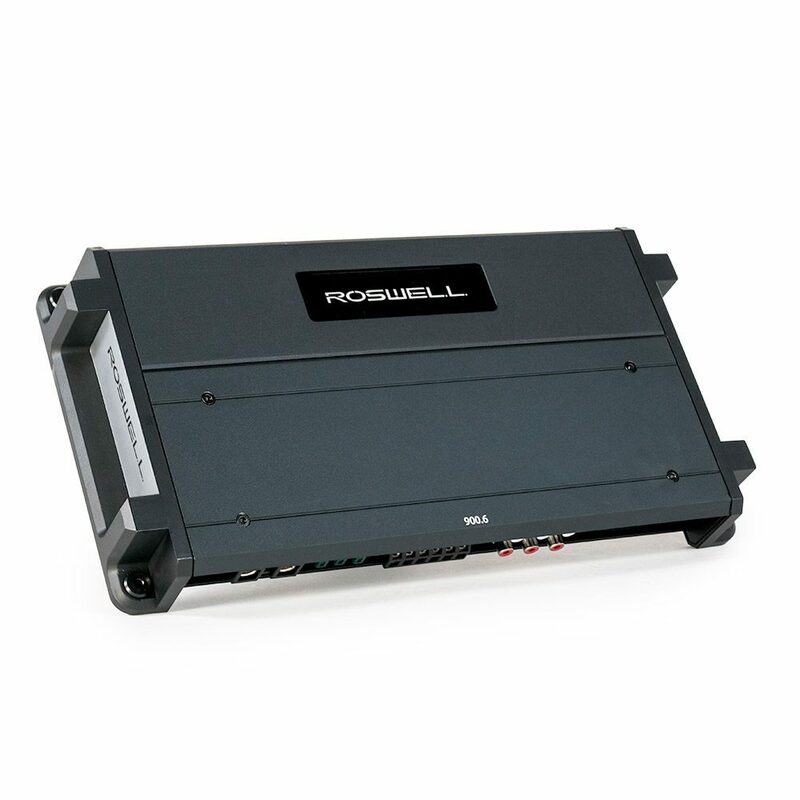 The R1 900.6 marine-grade amplifier, made by Roswell, is everything your boats audio system has always wanted. Utilizing a 6-channel Class-D design that puts out 100 watts RMS per channel at 4Ω, these amps are perfect for powering your R1 8″ and R1 6.5″ in-boat speaker setup. 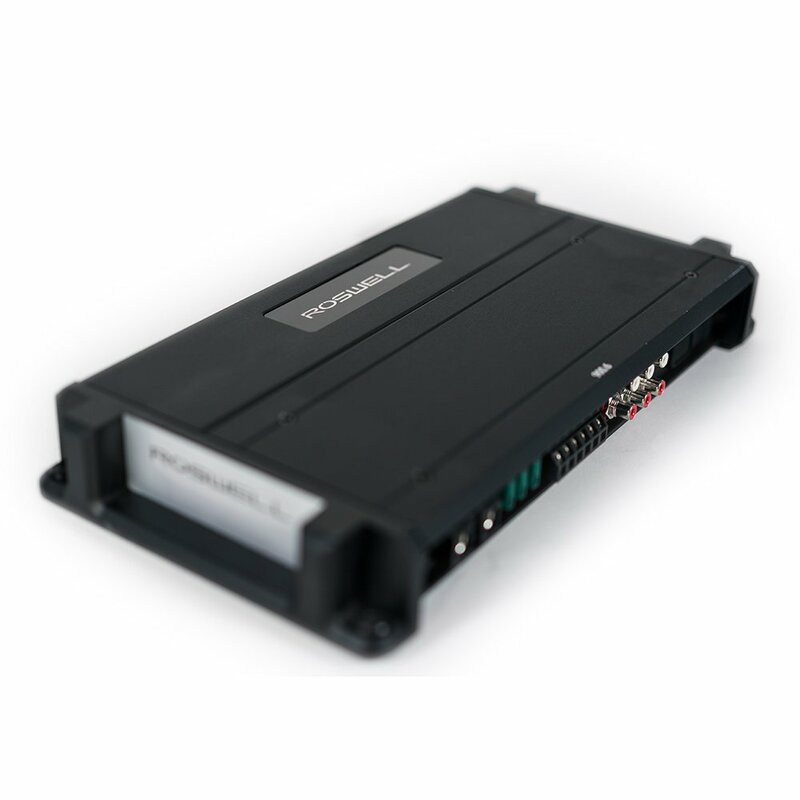 It features calibrated crossover controls, differential RCA inputs for maximum noise rejection, fully conformal-coated PCB’s, and nickel-plated marine-grade wire terminals. 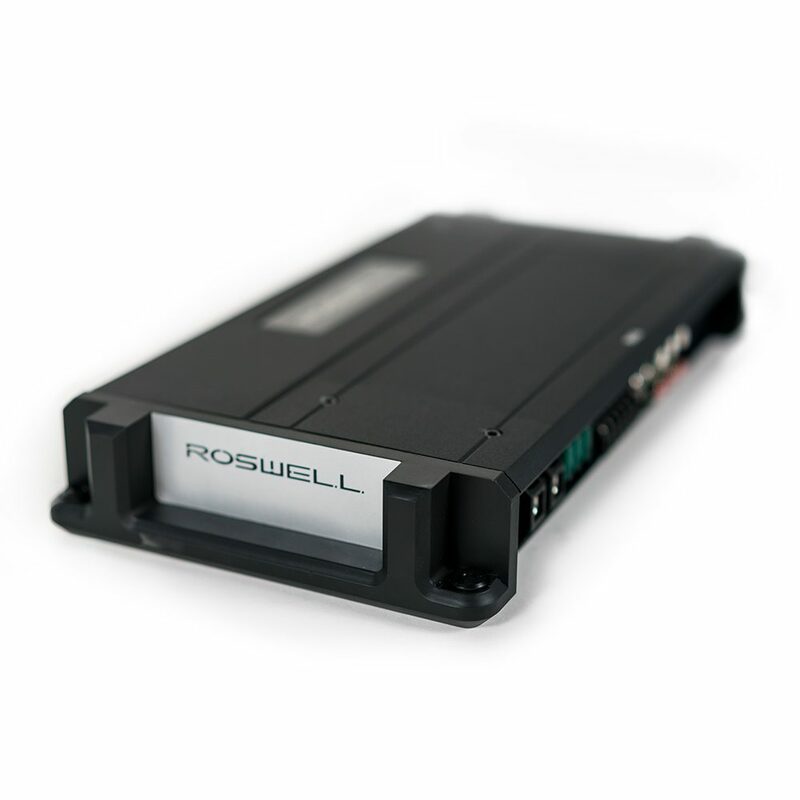 Made by Roswell, the R1 900.6 amp is everything your boats audio system has always wanted. 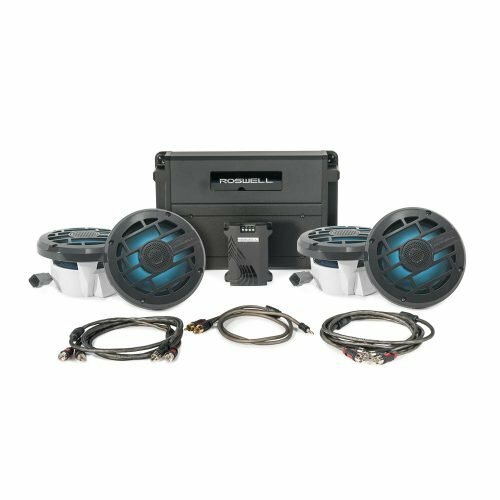 Utilizing a 6-channel Class-D design that puts out 100 watts RMS per channel at 4Ω, these amps are perfect for powering your R1 8″ and R1 6.5″ in-boat speaker setup. Easily bridge & tune with the calibrated crossover controls. 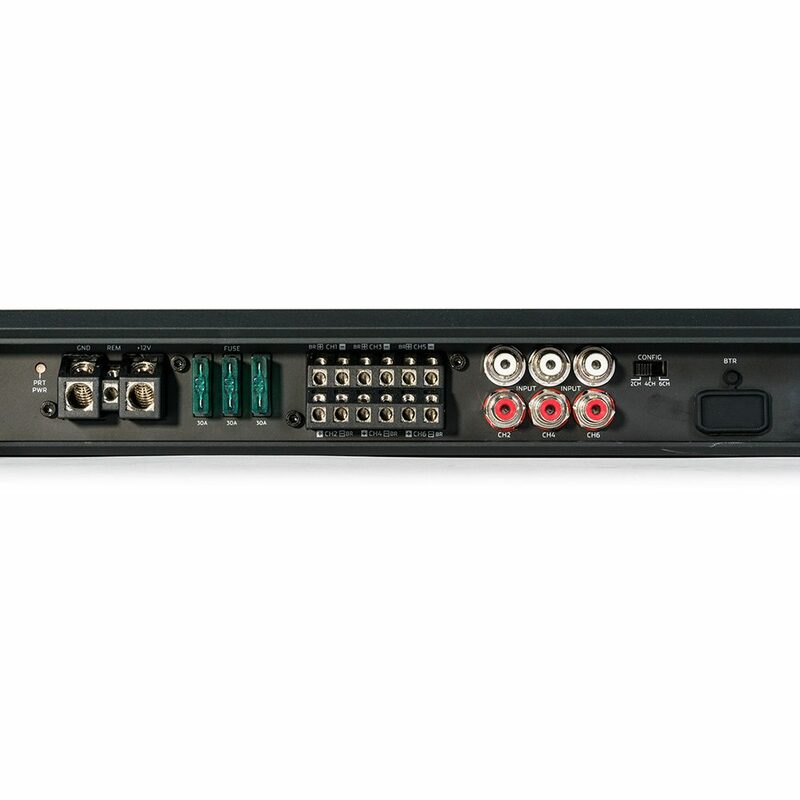 Because LEDs create lots of noise issues, this amp features differential RCA inputs for maximum noise rejection. The R1 900.6 is built with fully conformal-coated PCB’s and nickel-plated marine-grade wire terminals to ensure their quality.